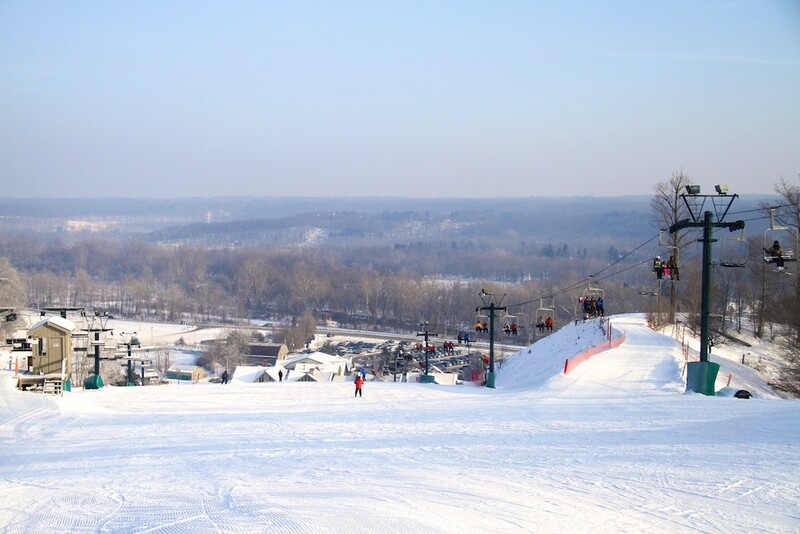 Boston Mills and its sister resort, Brandywine, Ohio have a lift capacity of 20,000 people an hour. The lifts are synchronized to control the number of skiers on the slopes. The vertical is 240 feet. Collectively they offer 19 runs on 79 skiable acres, 4 quads, 5 triples, and 2 double chairs. Lift tickets are interchangable and the twin areas are located just minutes apart across the valley. Night skiing is popular. The Tiger run at Boston Mills is the steepest slope in the state. Full cafeteria, lounge service at Joe Rider's Lounge and Deli, Buckeye Sports Center operates equipment and apparel shops, ski school provides skiing and snowboarding lessons, equipment service center, rental department, night skiing and snowboarding, complimentary ski corral service, fax on demand, locker rental, shuttle bus service between the two resorts, and snow cards available. One hundred percent snowmaking. Get Snow Reports, Powder Alerts & Powder Forecasts from Boston Mills straight to your inbox!